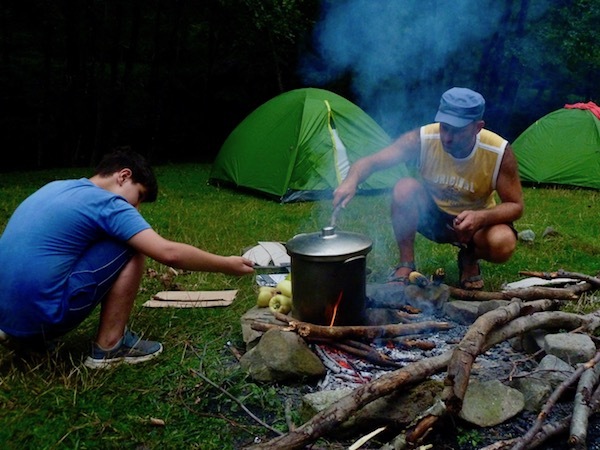 In August, a group of four Italian sponsors came to volunteer by organizing the children’s first experience camping in nature at the Casoca waterfall! 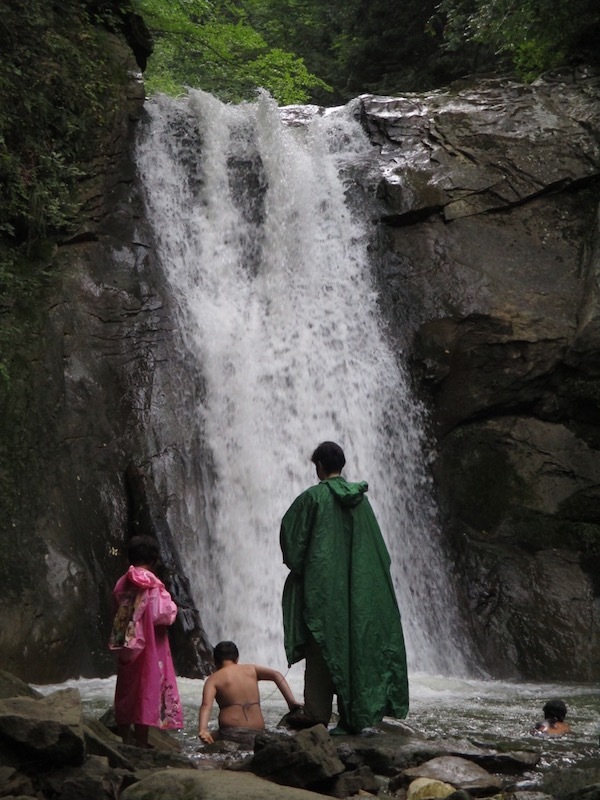 The first day, they brought the smaller children to the waterfall for a picnic lunch, and a day of outdoor play. They played and waded in the shallow, flowing water, experimented with floating leaves and pieces of bark, explored the smooth river stones, stacking them into towers or tossing them into the river to delight in the big splashes they made. They were also very proud of little wooden swords that Tanmaya carved for them! The next day, the volunteers returned to the waterfall with the older children to camp overnight on the banks of the river. The children were delighted to swim and explore slightly deeper waters while trying to reach the waterfall tied to a rope that Didi held to give them a sense of confidence. They were involved in cleaning up the campground from litter that previous campers had carelessly left strewn about, and then set up the tents, collected firewood and helped to make the fire. The kids also chopped the vegetables for the soup themselves and roasted corn on the fire. In the evening, everyone gathered around the fire to sing, look at stars, and listen to stories. They enjoyed the whole experience, especially sleeping in tents and look forward to more outdoor adventures!